Beautifully upgraded 'Oxford' model set on a quiet street just steps from the park! Over 4,000 sq/ft of finished living space, 4 spacious bedrooms & 4.5 baths! 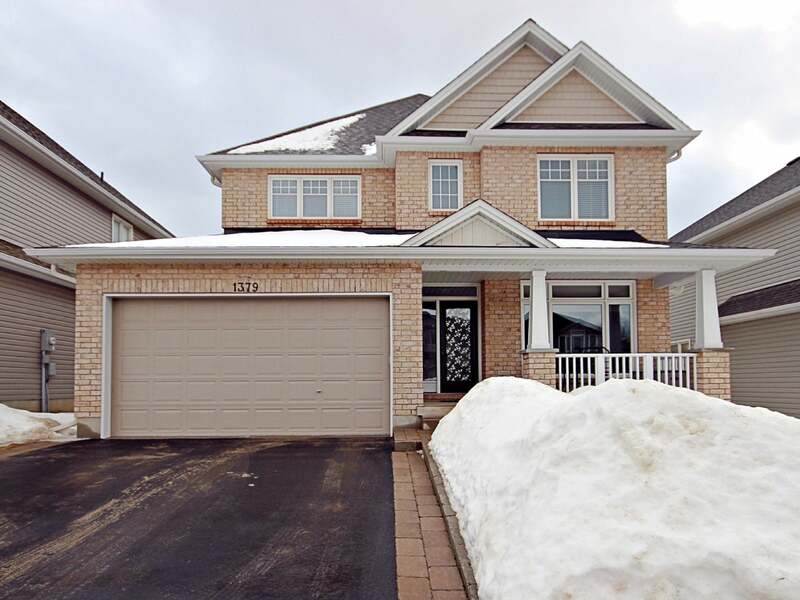 This exceptional home offers large front porch, two storey foyer, hardwood & tile flooring throughout the main level. Formal living & dining rooms, main floor office, gorgeous rear family room complete w/gas fireplace & built-in cabinets open to a stunning kitchen w/granite counters, oversized island w/two sided breakfast bar, tile backsplash, built-in appliances, gas range and butlers pantry w/wine cooler. A rich hardwood staircase leads to 4 bedrooms including king sized master w/5-piece ensuite, roman oval soaker tub and tiled shower w/glass doors. Rear bedrooms with jack & jill bathroom. Laundry w/built-in cabinets & sink. Beautifully finished lower level offers huge rec room w/high end laminate flooring & pot lighting, bar w/custom cabinets & glass inserts, 3-piece bathroom w/tile & glass shower, kids play area & an exercise room. Nicely landscaped, fully fenced rear yard, tiered decking & hot tub! All appliances included, central air, HRV & much more! An absolutely incredible home close to all west end amenities! Floor Area 3,025 Sq. Ft.